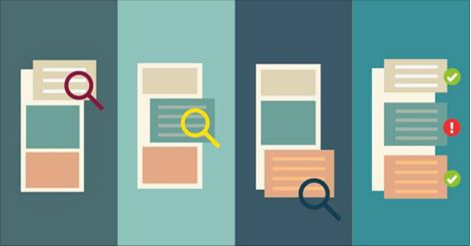 There are different approaches to find which areas of your website need improving via A/B testing. In this article we will outline all the main techniques which will help marketers and site owners to find the spots of a website that need improving and to build a strong A/B testing plan. If you decided to launch an A/B content experiment, the first and main question for you will be What to test? In this business you should start dealing with web analytics, means of which will help you to determine your future content experiment activities. The first and the main thing you should care about in this process is your conversion funnel understanding and its analysis. As we can see in this example, the ‘Order’ page is the place of the conversion funnel, where this business wastes a lot of prospects. Only 19% of visitors have passed from the page named ‘Order’ to the page ‘Order preview’. Thereby, this page needs to be improved. Some other techniques listed below will answer What are the certain places on the website to be aware of. 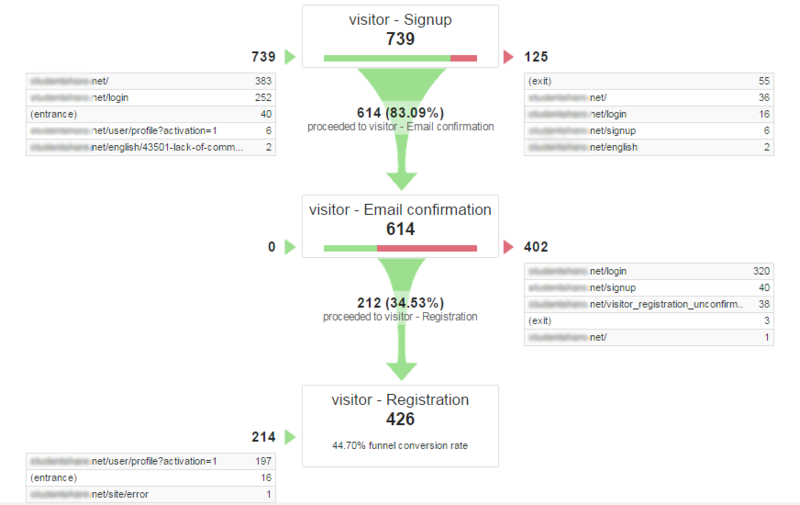 If you want to build a similar visualization we recommend you to use analytics provider Maxymizely.com, as it allows setting up events on any possible action of your visitor easily, with a one-click integration editor. The detailed guide on how to set up an action fullel is here. Another great source of information you can easily access is your customer service records. 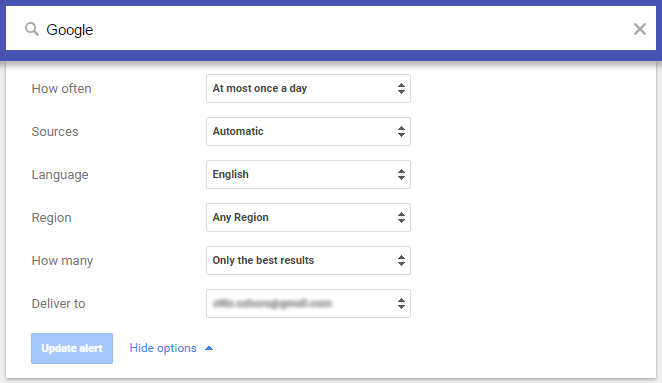 This source of data can also help you to find the ‘weak’ places of the website to improve (anyway, it’s better to A/B test any changes to confirm the received insights with data). All the questions, complaints, and requests your customers deliver you via emails, phone calls or via other channels are worthy to be learned and classified, do not leave them ignored! If you don’t have enough information from the customer records and tickets, you can also ask your visitors directly by inserting special snippets into your site. One of the best solutions is offered by Qualaroo. 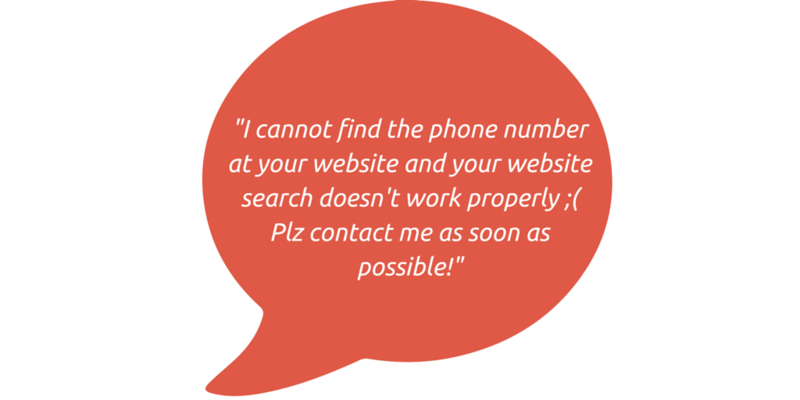 It’s a popular service which you may have seen on different websites you usually visit. What your visitors see is a dialogue window asking them questions you are interested in, such as, `why do like our services? Using this service you can reach your audience directly, ask the questions that matter to you, and get the precious information about the usability of your website. 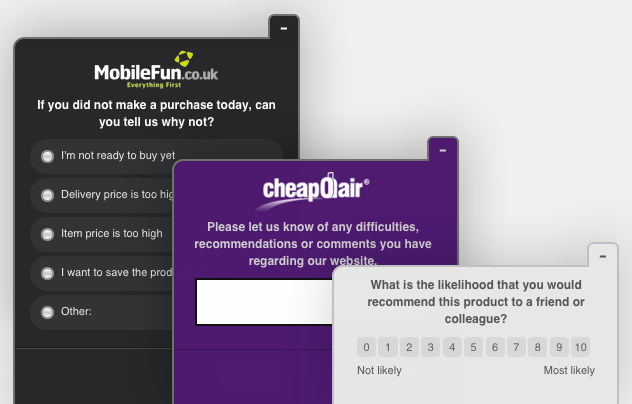 If you’re not collecting public feedback from your customers yet, we strongly recommend you to start doing it after reading this article. It’s not only a very useful marketing activity for your online reputation management, but also it may help you to find areas of your online business to fix and improve. To run this process you may choose from the two available options – either to make the monitoring activities manually, or tune one of the all-in-one monitoring services, like Sysomos or Brandwatch. Another great source of insights, that should not be ignored by any marketer is a competitors research. Just as you should track the feedbacks about your own business, you’d better track the mentions of your competitors. You can start doing it almost effortlessly, so why not to take advantage of this source of data? If you’re already using special social media monitoring tools like Social Mention, Talkwalker alerts or Google alerts, set up the monitoring of reference to competitors to get fresh insights. The best A/B testing idea you haven’t thought about comes directly from your prospects, so don’t be a reckless marketer, use this chance to know more about usability of your website. Thanks to running different types of user tests, you’ll know where the visitors on your website get stuck and confused so you can make their experience better. While your analytics are going to tell you where your visitors are leaving your site, and what your conversion rate is, user testing will tell you why. Once you understand why your prospects are struggling, you can create a content variation that addresses the underlying issues and boosts your conversion rate. There are some ready solutions, which may help you with this issue, providing different user testing services in a box. Usually, these services include such tests as a five-second test, a click test, a question test, a navigation test, a preference test and even video and audio of your site or app are being used! Check out such services as Usabilityhub or Usertesting. The behavior section of your analytics provider is another source of meaningful information to define problem areas of a website. Let’s check the facilities of this section in Maxymizely. 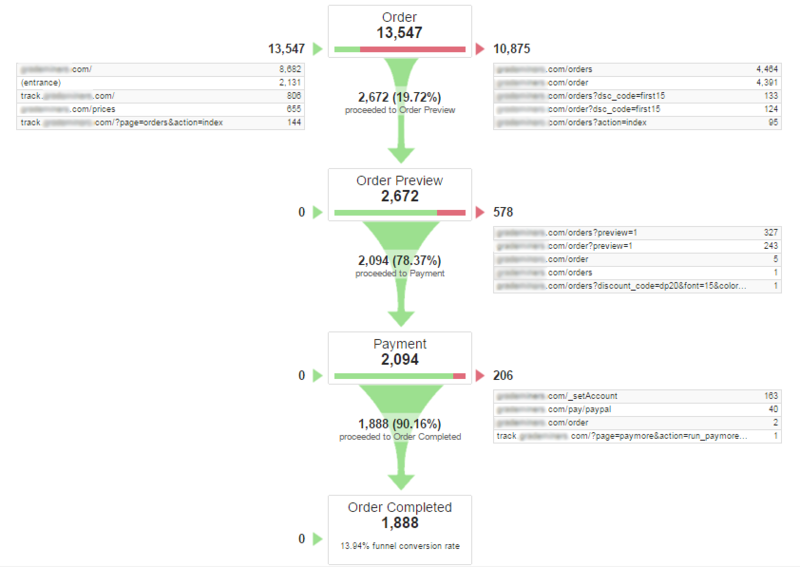 In Maxymizely analytics the suited section’s name is Actions before drop-off. This report is highly useful as we can see the areas where a website loses its visitors. 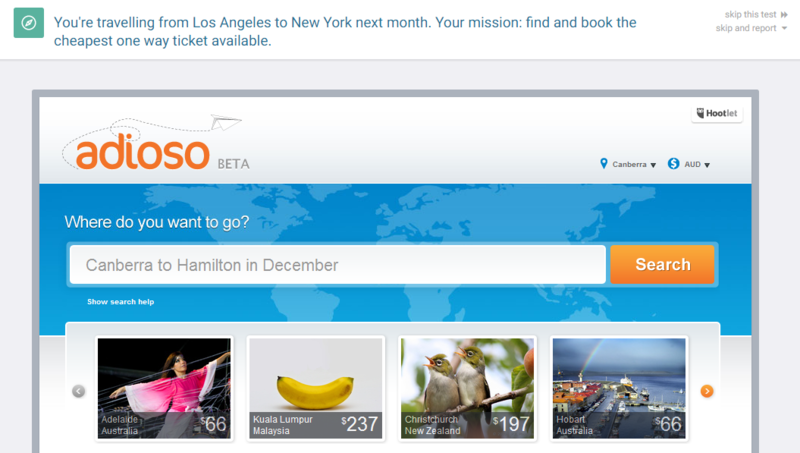 Also, there is a possibility to segment your traffic by sources, activity of users, action types, and much more. If you have any thoughts on the topic, feel free to share it with us! 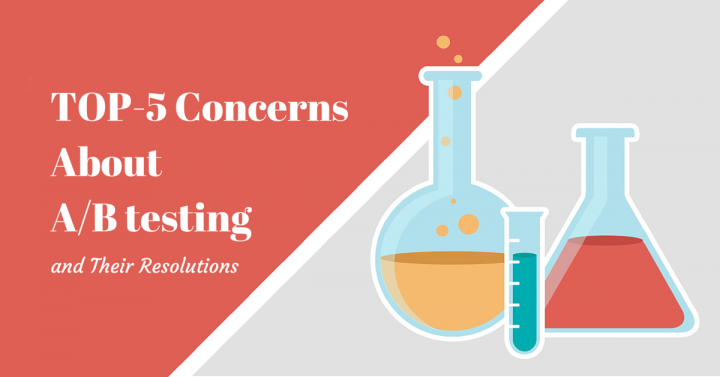 Why Maxymizely A/B & Multivariate Testing? A/B Testing Visual Editors. Optimizely vs. Maxymizely Tools and Benefits.